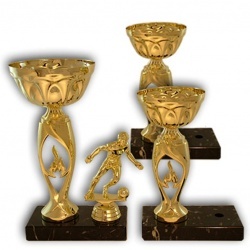 At 1MECTO you can find large variety of trophies awards cups and recognition products, including custom designed plaques, figures, pins, glass and acrylic awards. 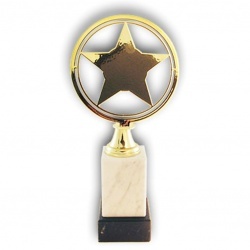 Our selection of awards is perfect to offer anyone a great trophy option. 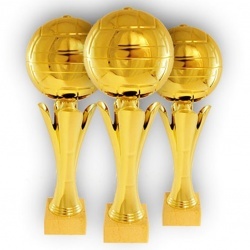 Our themed trophies are varied that you can easily find different sport, event or company awards you are looking for. A trophy is unique only when it is personalized. 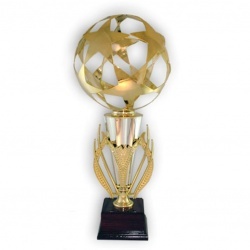 Soccer style trophy available in several sizes. Gold bowl, gold stem on black marble base. Perfect for your sports competitions, tournaments or events. Choose from our standard engraving plates featuring your sport or activity. 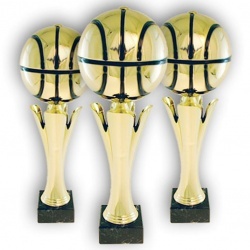 Basketball style trophy available in several sizes. Gold bowl, gold stem on black marble base. Perfect for your sports competitions, tournaments or events. Choose from our standard engraving plates featuring your sport or activity. Dynamic and elegant trophy. The price is indicated without the cost of the figurine. Height 21 cm, black marble base. Universal economic award for the podium. Can be supplemented by any sport figurine. 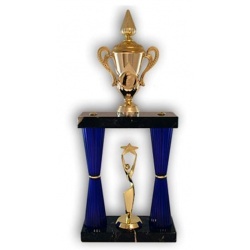 At 1MECTO you can find large variety of trophies awards cups and recognition products, including custom designed plaques, figures, pins, glass and acrylic awards. 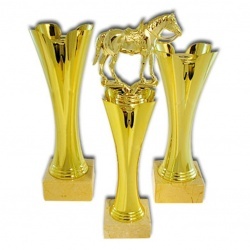 Our selection of awards is perfect to offer anyone a great trophy option. 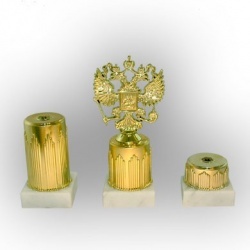 There are many different designs to choose from, ranging from gold or silver awards trophies to medallions. 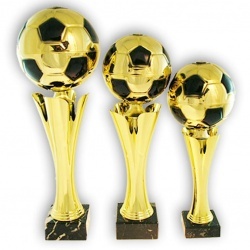 Our themed trophies are varied that you can easily find different sport, event or company awards you are looking for. All of the most popular sports are represented. A trophy is unique only when it is personalized. 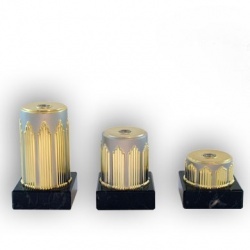 We offer engraving service on all of our trophies and we work closely with our customers to give you the highest satisfaction.